Eggnog Cheesecake Cookie Cups By Olivia from Liv For Cake. The best treat for the holidays! 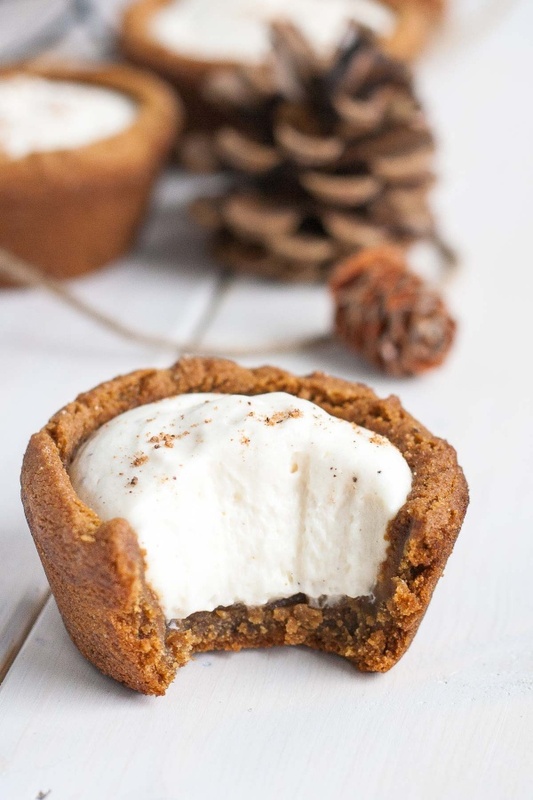 Chewy gingerbread cookie cups filled with a fluffy eggnog cheesecake.